Sell Your House Fast In Laveen! We Buy Houses In Laveen and Throughout Arizona! Do You Need To Sell Your House Fast For Cash? We Can Help. We Buy Properties Anywhere In The Laveen Area. Check Out How Our Process Works. We’re Ready To Give You A Fair Offer For Your House. Need to sell your house fast? We are the local “We Buy Houses In Laveen Arizona” company. If you want to sell your Laveen (wiki link) home for any reason, we will make you a fair no-obligation all-cash offer. We even pay all closings costs. We purchase homes in Laveen and the surrounding areas. Do You Want To Sell Your House In Laveen? 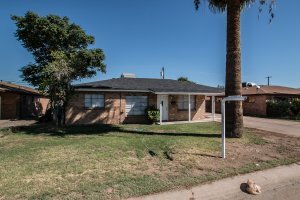 When you call us to sell your house in Laveen or any other city throughout the Phoenix Greater Area, we will provide you with an unconditional cash offer for your house. You will not pay any commissions or closings costs when you sell through us. Our offer will also not be contingent on any financing or inspections. Investment turned into money pit? Don’t want to use an agent? House too big or too small? We can help you by giving you a fair cash offer for your house in less than 24 hours. Our offer will not have any contingencies and we will not back out of the deal. We are a family owned and operated Arizona real estate investment firm and have been purchasing homes in the valley since 2006. Let us use our experience to help you get out of your unwanted situation by selling your house to us.